I WANT TO RIDE AGAIN! 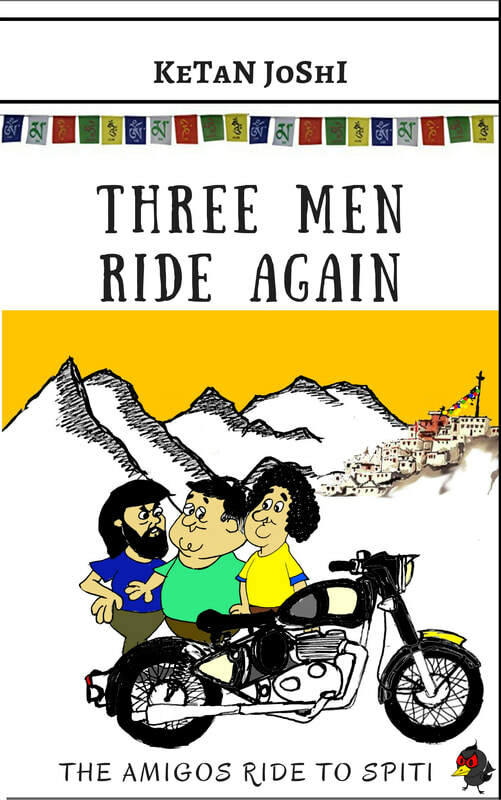 Three Men on Motorcycles. Hidden Himalayan hangouts. What could be better? After their amazing ride to Ladakh, the Amigos are all pumped up to do yet another awesome ride in the high Himalayas. Adi especially has been going insane without an opportunity to ride. RIDE RIDE RIDE - he has been babbling and moaning and groaning and everyone is glad to get him on a bike and out of their hair! But where to go? SHE WHO MUST BE OBEYED commands us to visit the awesome LAHUL SPITI region in Himachal Pradesh. This is the area bordering Ladakh on one side and China (Tibet) on the other - and is wild and untamed and unknown. We ride up from Chandigarh, get drenched in Chail (which the Maharaja of Patiala built as a middle-finger-salute to the British) and grovel for a room in Simla, where there were no rooms due to a tsunami of tourists. We go up the fabled Hindustan-Tibet road and explore the amazing sights of the Kinner range of Himalayas. The place is a storehouse of wonders! From the fabled monolith of Kinner Kailash to the temple town of Kalpa, we almost fall down the mountain and into the river at a landslide at Pangi village. The gorges of the Sutlej and Spiti rivers are a sight which take your breath away - they are as amazing as the Grand Canyon - but right next to you! The wonders go on and on - the superb KaZig loops, the border villages of Chitkul in Sangla valley, the thousand year old monastery of Tabo and Dhankar, the night sky at Nako and the ancient town of Kaza and the towering Kunzum pass. SHE WHO MUST BE OBEYED pursues us in astral forms and possesses crows and waiters and sundry people to nag us and egg us on to further achievements. Insanely funny and yet awesomely inspiring - this book is a motorcycle journey like no other!